Below you'll find the ship's itinerary as well as a full list of events, concerts, and excursions. We'll be adding to the itinerary as things get confirmed. Guests must be onboard 30 minutes prior to sail away time. *Embarkation time and/or itinerary may change without notice as conditions warrant (Celebrity Cruises). 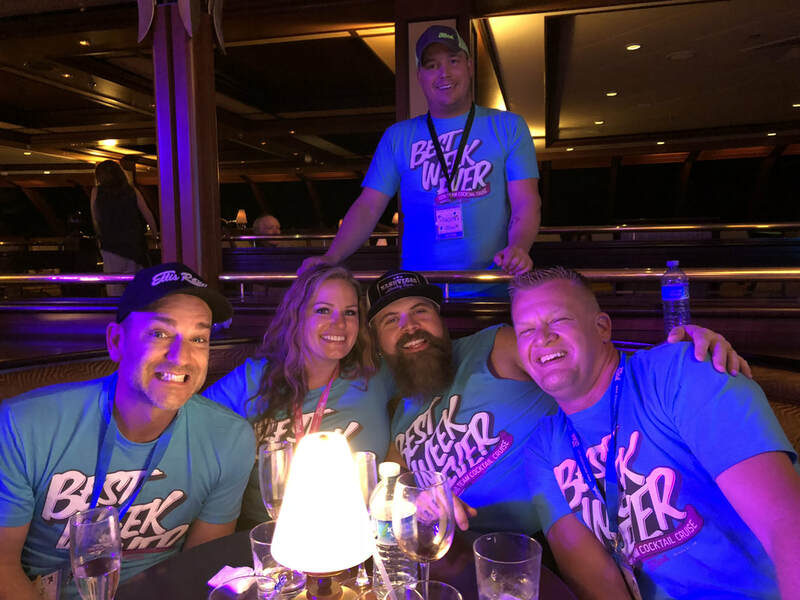 If you're flying in the day before the cruise join us at the Lobby Bar at the Intercontinental for a Happy Hour meet up for all Team Cocktail cruisers! 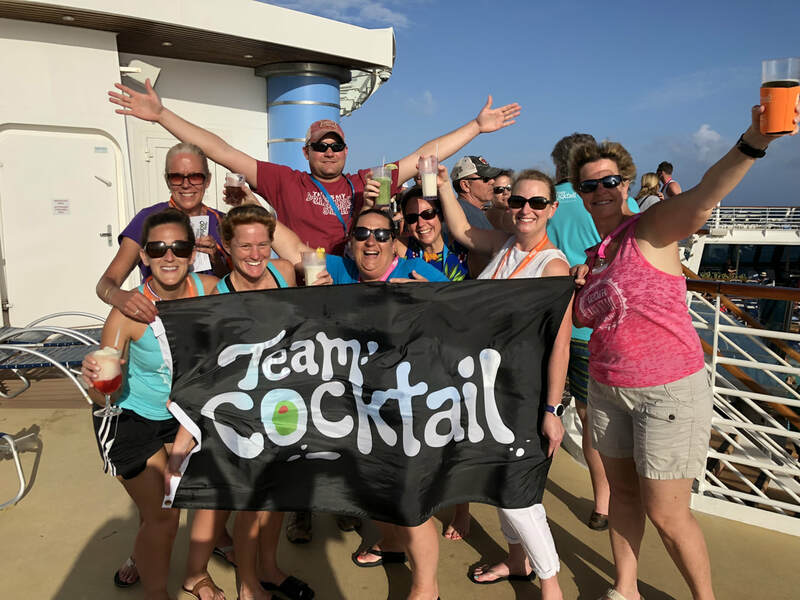 As sure as the sun sets in the west, you'll always be able find Team Cocktail Cruisers at the Sky Bar during sail away! Join us each day as the Freedom of the Seas sails away from the islands! Note: Sail Away Happy Hour tends to happen every day...even on sea days! *All guests must be onboard by 7:00pm. 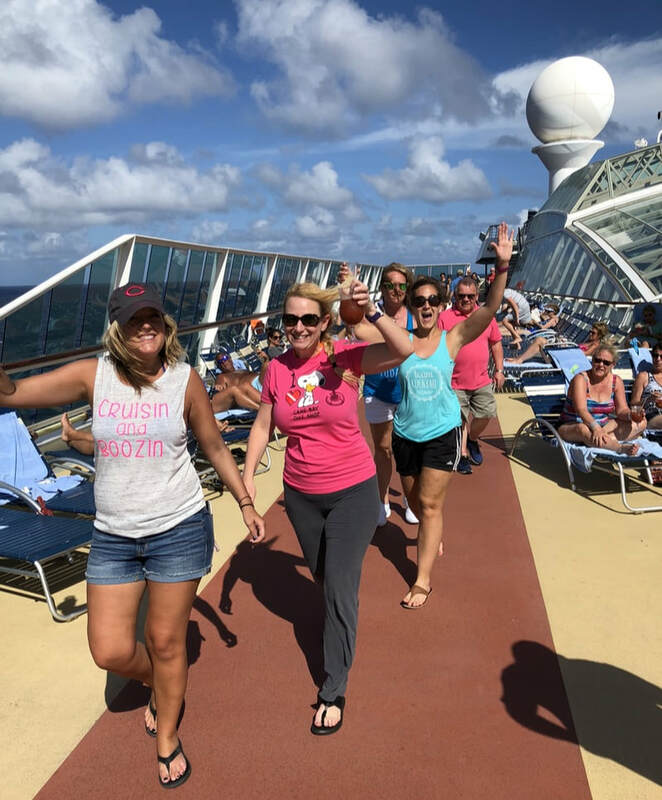 NOTE: PLEASE WEAR YOUR CRUISE SHIRT FOR EMBARKATION DAY! THIS IS A FUN WAY FOR YOU TO SPOT AND BE SPOTTED BY OTHER TEAM COCKTAIL MEMBERS! The Freedom of the Seas will depart from the Pan-American Pier in San Juan, Puerto Rico. There are two cruise ports in San Juan, so be sure to tell your cab or shuttle driver that you are going to the Pan-American Pier. Note: This is NOT the one in Old San Juan. 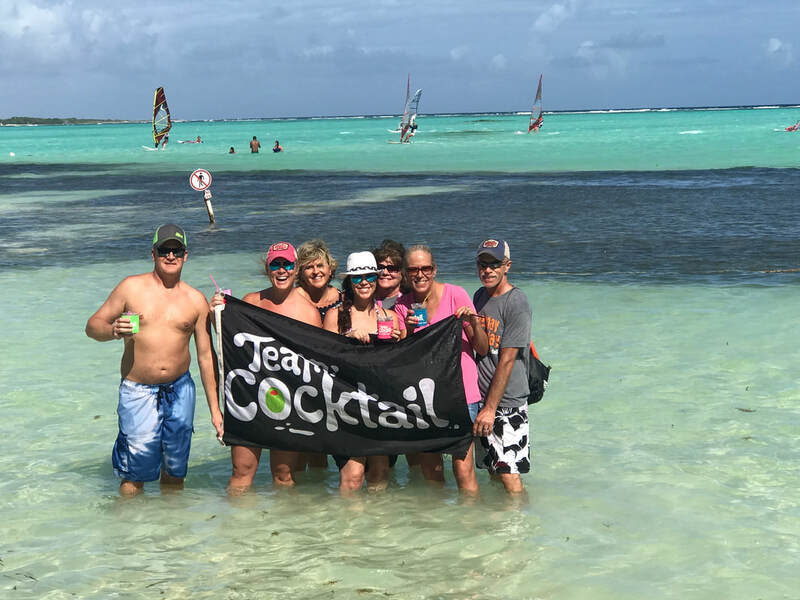 ​Once onboard you can find Team Cocktail members congregating around the Sky Bar! *PLEASE WEAR YOUR CRUISE SHIRT TO THIS EVENT. Join us as we go over the week's events & excursions. Also, you'll have a chance to meet all your fellow Team Cocktail Cruisers! Be sure to wear your Team Cocktail Cruise shirt. Our first stop of the cruise will be the beautiful island of St. Maarten/St. Martin. This island is half French (Sint-Maarten) and half Dutch (Saint-Martin). Explore the shopping or beautiful beaches or join us on an optional excursion to Mullet Bay & Maho Beach! 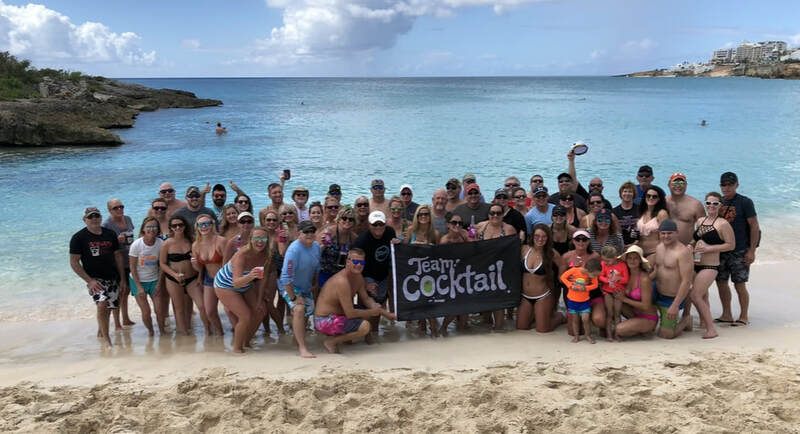 Team Cocktail at Mullet Bay in 2018! *Price includes transportation and tip for our drivers! All other purchases are on your own. Once again this year we are planning a fun day trip to Mullet Bay & Maho Beach! 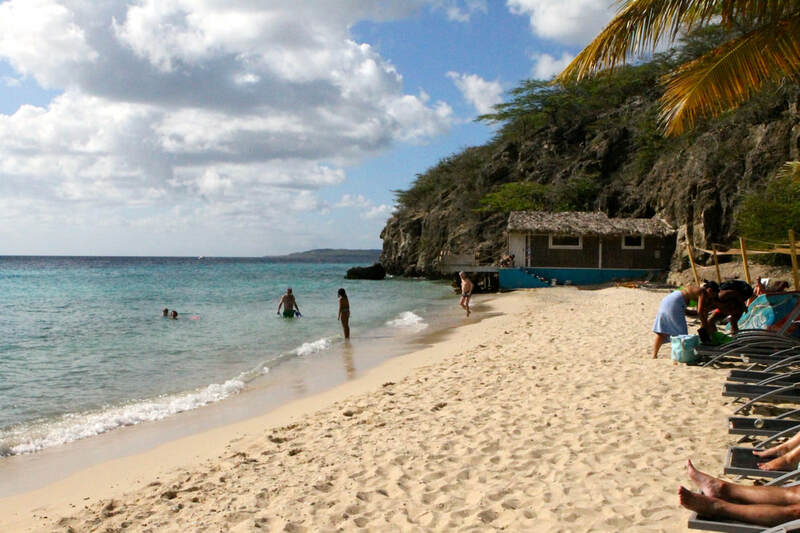 Mullet Bay will be our first stop and is one of the most gorgeous beaches on the island! You can see it in the pictures! There are chairs for rent, and there are locals there who set up bars and food for purchase. It's quaint, fun and breathtaking! 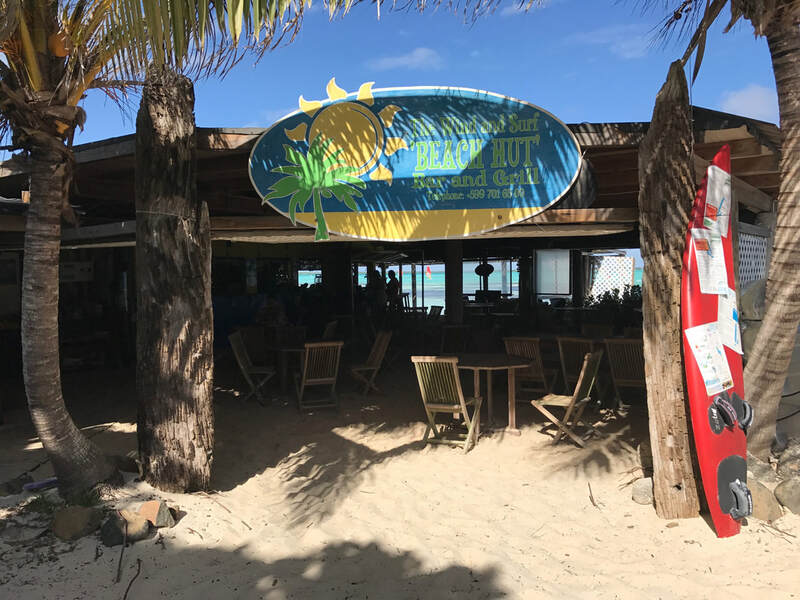 Our second stop of the day will be the Sunset Bar at Maho Beach! Here you will be able to enjoy food, drinks and watch the planes take off and land at the famous St. Maarten runway! SCHEDULE: We will meet off the ship at 9:30am for a 9:45am departure to Mullet Bay. Depart Mullet Bay at 12:30pm for Maho Beach. Depart Maho Beach at 3pm for Cruise Terminal. Times are subject to change. 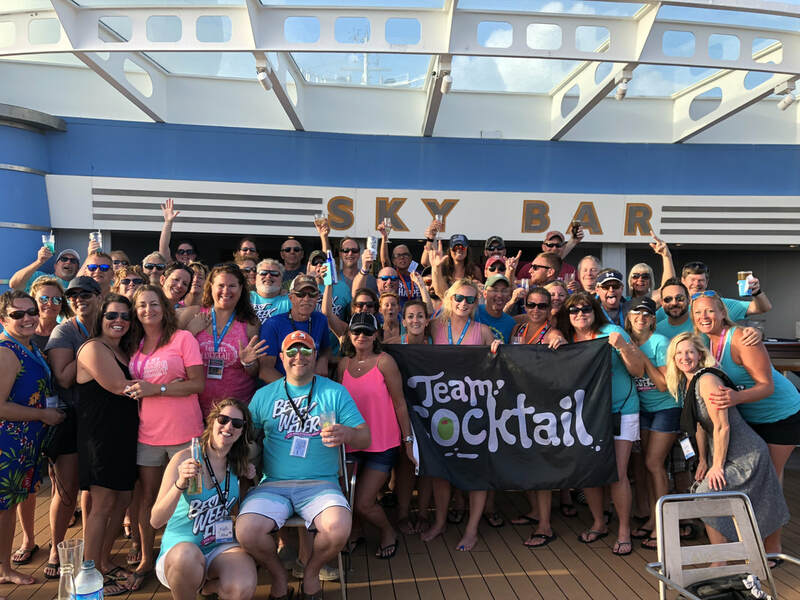 As sure as the sun sets in the west, you'll always be able find Team Cocktail Cruisers at the Sky Bar during sail away! Join us as we sail away from St. Maartren! 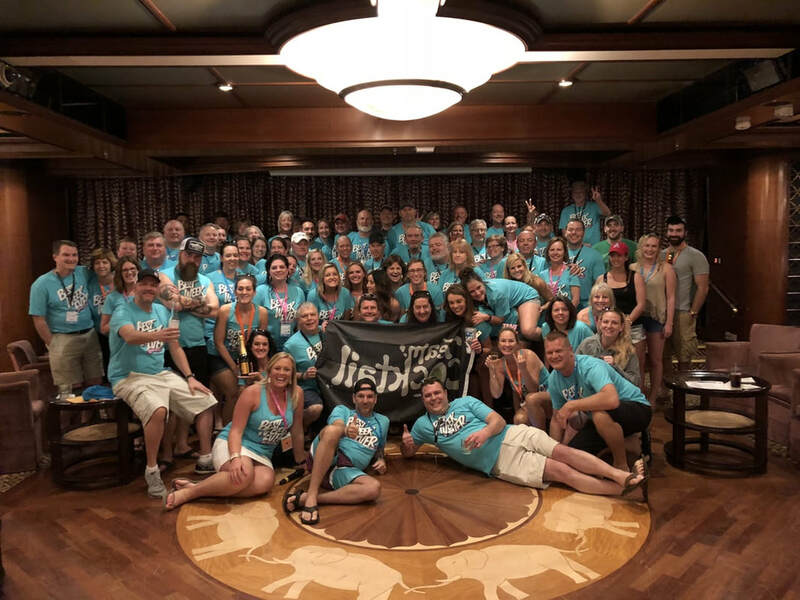 This trivia themed, poker run, bar crawl is the perfect chance to meet other Team Cocktail Cruisers and to get well acquainted with a lot of the bars on the Freedom of the Seas. Pictured to the right: 2018 Bar Crawl Winners. Join us as for happy hour as we sail through the Caribbean! 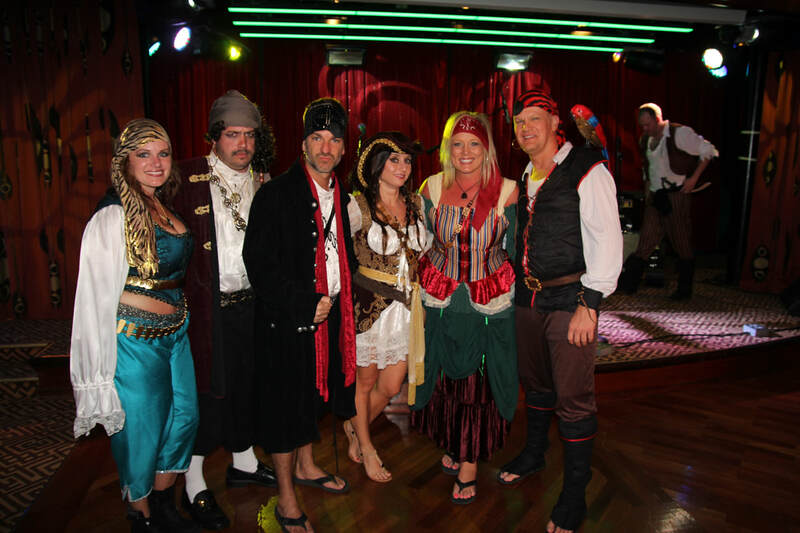 Throw on your best pirate gear and join us in the Promenade before dinner for cocktails....ARRRRR! 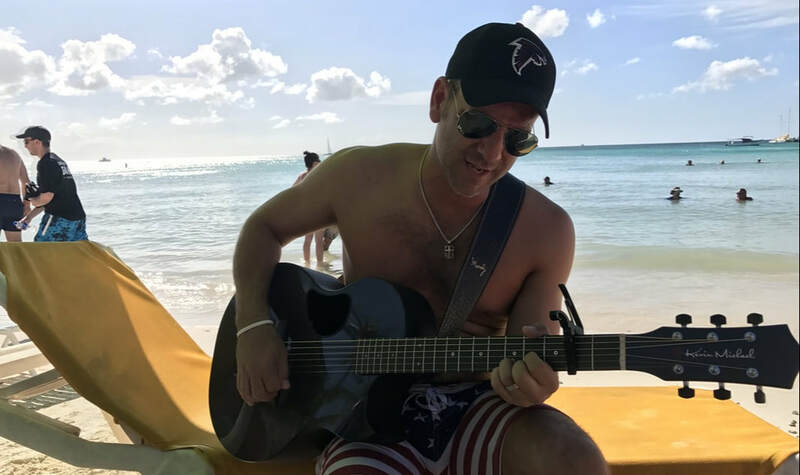 After that we'll take over the main dining room and then head to the Star Lounge for a Pirate Night Concert with Craig Campbell! 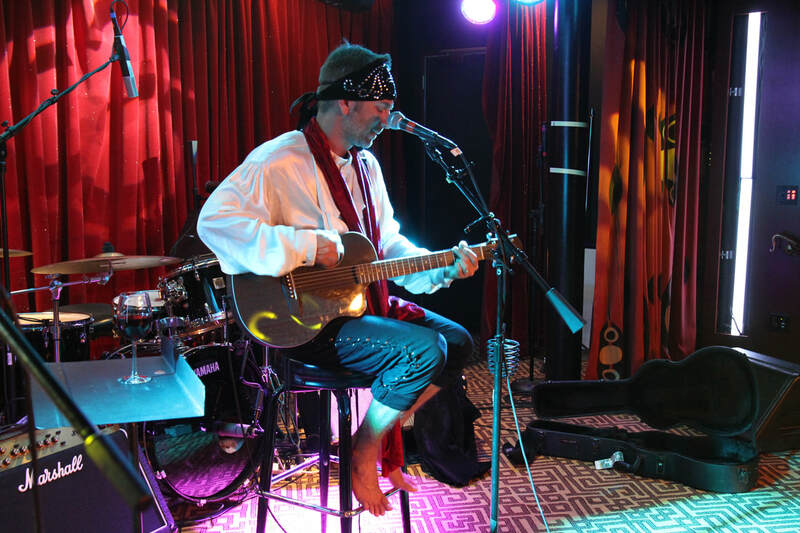 Throw on your best pirate gear and join us in the Star Lounge for a Pirate Night Concert with Craig Campbell! After a day at sea we'll be stopping in Curaçao! This island is great for diving, snorkeling, and exploring. Feel free to explore on your own or join us at Kokomo Beach. Be sure to be back onboard the ship by 7:30PM. Bust out your floral shirts, visors, fanny packs, and other Tacky Tourist items and join us at the Sky Bar as we sail away from Curacao! 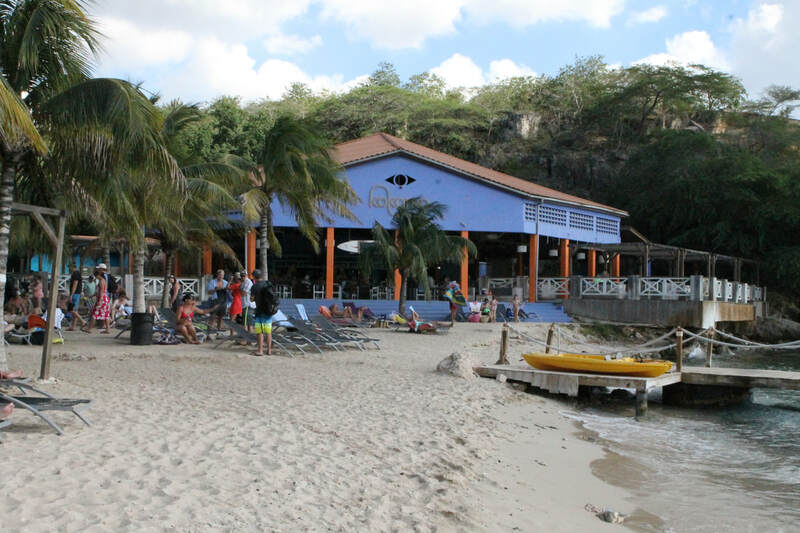 Our next, and final, stop on the ABC island tour is Bonaire. This is another great island for diving, snorkeling, and windsurfing! Feel free to explore the island on your own or join us as we head to Lac Bay. Be sure to be back onboard the ship by 5:30PM. ​We will be meeting off the ship at 9:30am and heading to The Beach Hut , which is located in Lac Bay. Here we'll have a restaurant/bar, small beach. and beautiful views to enjoy for the day! 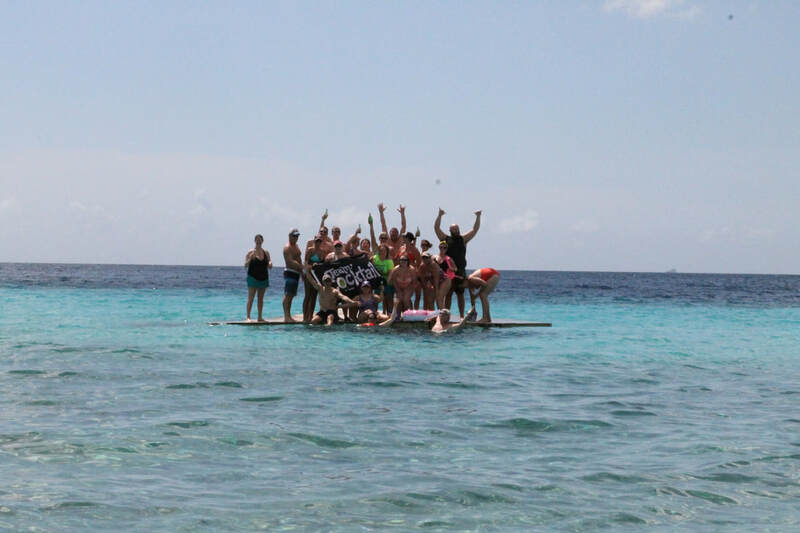 Join us at the Sky Bar as we sail away from Bonaire! Bust out your big hats, fancy suits, and bowties and join us for our Kentucky Derby Theme Formal Night Concert! Our next stop will be the island of Aruba! This desert island is home to two of the most beautiful beaches in the world, Palm Beach (high rise section) & Eagle Beach (low rise section). Be sure to be back on the ship by 10:30PM. Join us as we set sail from Palm Beach for a two hour sunset catamaran cruise! 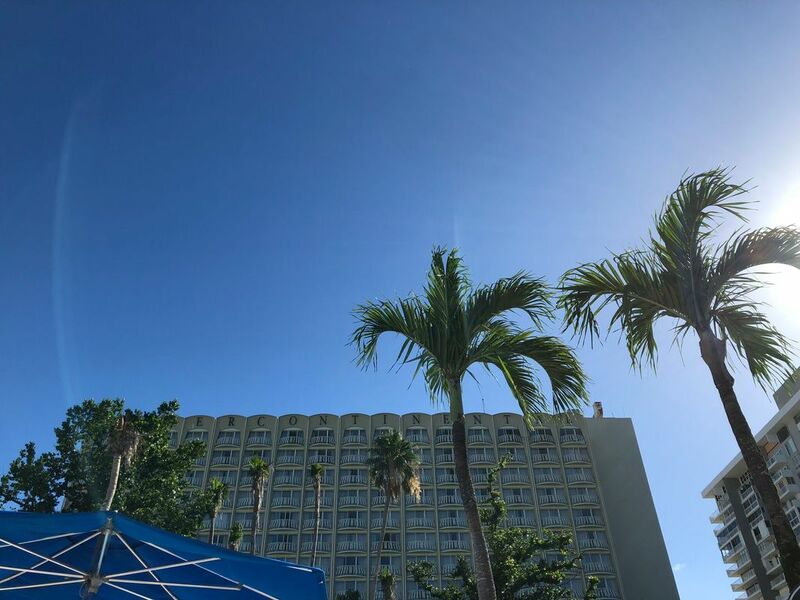 Enjoy hors d'oeuvres, open bar and a beautiful Aruban sunset! Don’t worry…it’s not an actual marathon. 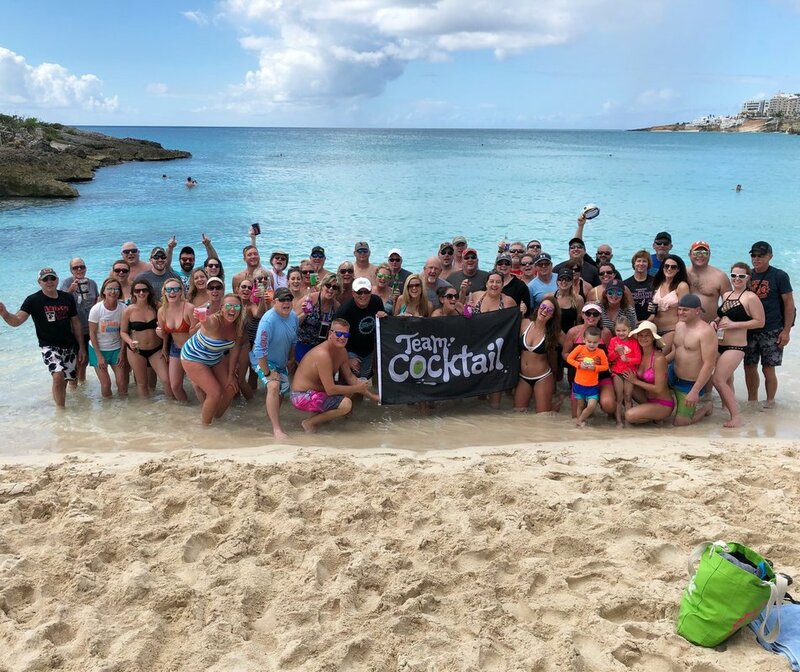 Our goal is get 26 people to walk/run one mile around the track, AND do it in true Team Cocktail fashion…with a drink in hand! Like most races there is also a charity component. This is NOT required, but for anyone that would like, you can bring some money to make a donation! 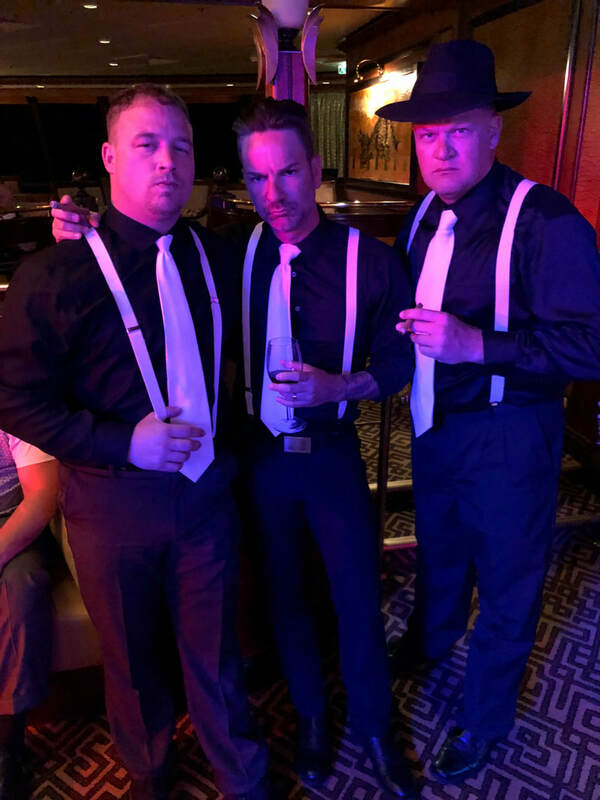 We’ll be donating to the Pancreatic Cancer Action Network in honor of our dear friend and original Team Cocktail member, Rodi Strauss! Join us at the Sky Bar as we sail through the Caribbean! Bring your lanyards and be ready for some fun as we dish out a few awards from the week!